Super Rugby's decision to axe the Sunwolves after the 2020 season will have a detrimental effect on Asian rugby, according to the franchise's chief executive. On Friday, SANZAAR announced – after a substantial review – that the Japanese side would not feature from 2021 when the competition will be reduced to 14 teams. The Sunwolves only joined Super Rugby in 2016 and have won seven of their matches in that time, their best return coming last season when they recorded three victories. Despite their improvements, SANZAAR are keen to revamp Super Rugby going forward, but Sunwolves CEO Yuji Watase is disappointed by the decision. SANZAAR has announced following a substantial review of @SuperRugby over the last 18 months via strategic planning process the future of Super Rugby rests with a 14-team, round robin, competition format. 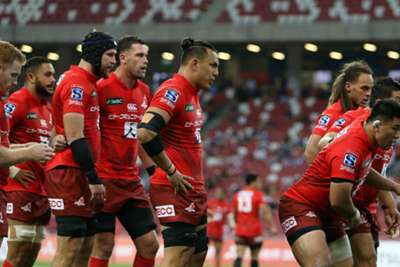 "It is obvious that we have the responsibility to expand rugby in Asia as a kind of leader in Asian rugby," he told reporters after Saturday's 37-24 defeat to the Lions. "It is clear that this [decision] is going to [do] quite a kind of damage, in terms of promotion of rugby. "Personally I'm really sorry about it. But we have to find some other way [to promote rugby] and we have to decide after 2021."